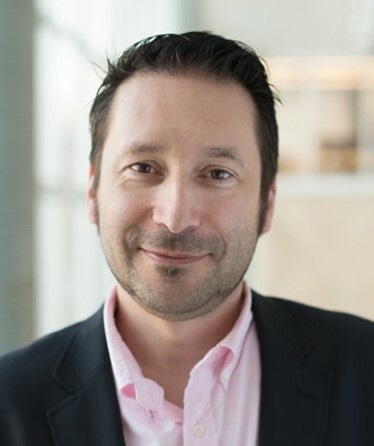 Laurent Simon is Full Professor in the Department of Entrepreneurship and Innovation, and Co-Director of Mosaic, in the Creativity and Innovation Hub, at HEC Montréal. He conducts research projects on the management of creativity and innovation, with qualitative approaches (ethnography and case studies), in different fields: management of creative projects in the video-game industry, multimedia, software, high tech firms, manufacturing, aeronautics, advertising and communication, performing arts and cultural organizations, banking and financial services. His present projects focus on the development of techno-creative products, creative contexts, and creative practices and processes, with analyses of creative communities, ideas development, the organization and management of innovation, collaborative innovation, co-design, creative cities and territories, policy design, and public policies for creativity and innovation. The aim of his work is to develop a better understanding of the determinants of creativity in the management of innovation. He is presently coaching and consulting for various organizations, including Ubisoft, Cirque du Soleil, Desjardins, Bombardier, Hydro-Québec research centre, City of Montréal, Chanel parfums et cosmétiques, Adeo Leroy-Merlin, Olymel, the Ministry of Economy, Science and Innovation of Quebec; Caisse de dépôt et de placement du Québec, Ivanohe Cambidge, IACO, and ACI International, in order to help them develop their creative capabilities for innovation. He has published or co-published several scientific papers on the matter. His teaching focuses on the management of creativity for innovation, new models and processes for value creation, the strategic management of cultural organizations, design thinking for innovation and entrepreneurship, and on the integration of social sciences in management. With Patrick Cohendet, economist and full Professor in international business at HEC Montréal, Professor Simon co-leads Mosaic, a research hub and partnership (Ubisoft, Bell, Ingenio / Loto-Québec, IREQ / Hydro-Québec, Aimia – Aéroplan, Desjardins, Dynamite-Garage, Conférence Régionale des élus, Ville de Montréal, Chanel parfums et cosmétiques, Communauté d’Innovation Renault, C2Mtl, Salomon, Michelin, CAA Québec, etc.) dedicated to the study of the creative economy and of the management of creativity for innovation. They created the Summer School in management of creativity and innovation, Montreal-Barcelona. They regularly develop local and international research projects, action-research, transfer and training activities on idea management, knowledge management, and innovation management.